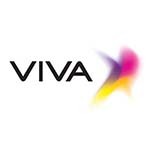 Viva Telecom established its footprint in Kuwait in 2008 and given a multiple operator market, decided early on to differentiate itself by making its call centre the first point of contact for the customer and delivering a very high level of customer experience and support there. In order to achieve this effectively, Viva Kuwait choose to outsource it’s call centre to two operators, for both inbound and outbound interactions. With multiple INSIGHTS Awards to its credit over the last few years, Viva Kuwait hopes to continue that momentum which in turn recognises its own evolution, at this year’s event.